Water activities abound at Tom's Cove. 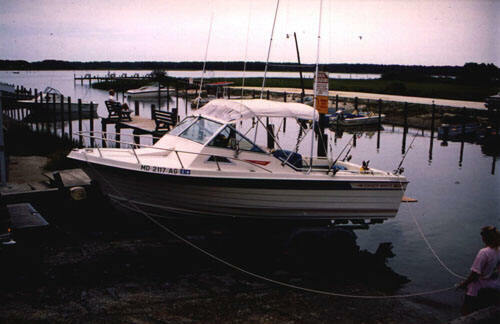 From bay fishing for Flounder and Trout to offshore for Tuna and Dolphin, the choices are limitless. 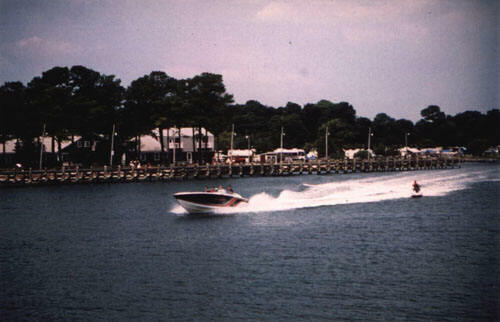 Launch your boat or jet ski from our double wide boat ramp. From our ramp you have access to the bay or the ocean. Bring your water skis and enjoy a day of recreation on the water. When your day of boating is done, come in and tie up at our marina. Those without boats won't be left out. Spend the day fishing and crabbing from one of our three piers, or just sit back and enjoy the view of Assateague Island.